Travel light with the Leap, a new pod mod device. 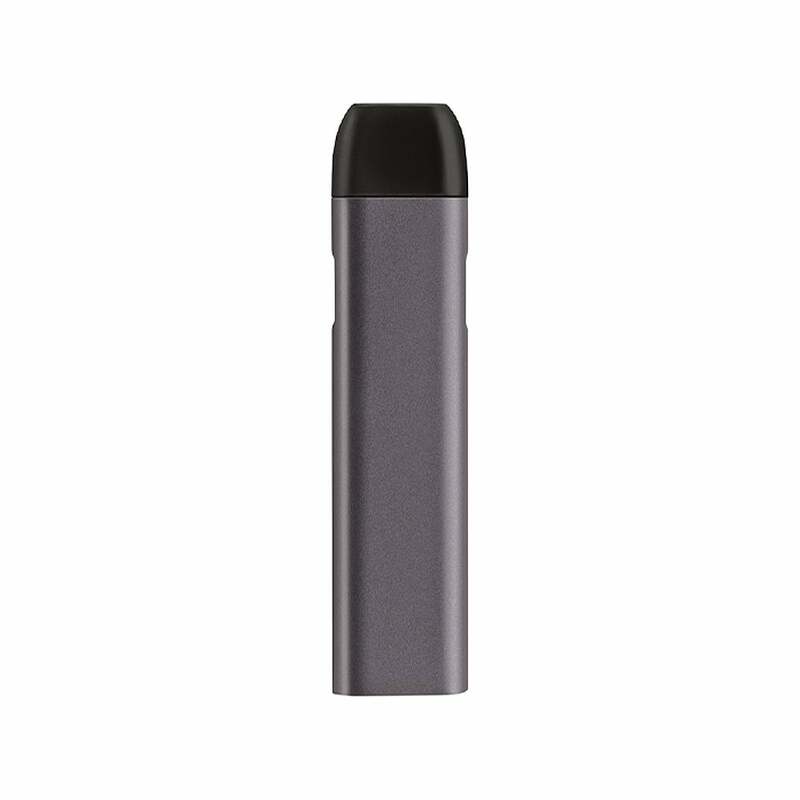 The Leap is a portable device that accepts pre-filled 1.5ml Leap Pods. The Leap is designed with an aluminum casing that feels both lightweight and appealingly solid in the hand. The blue-grey casing gives the Leap a modern, subtle look. The Leap device comes equipped with a built-in 400mAh rechargeable battery for vaping all day between charges. The battery charges with a magnetic USB charging cable, included with the Leap device. The charging cable easily connects and disconnects from the unit with a magnet, and the lack of an inset charging port adds to the streamlined look of the device. The Leap compatible 1.5ml pods are available in a 4.8% nicotine strength, perfectly suited for smooth, dense vapor hits with an uplifting nicotine content. The pods are available in a variety of flavors, from Carolina Tobacco to menthol-berry blend Arctic Berry to fresh, juicy Apple Strawberry. The pods are sealed and designed to be leak proof, so you'll never have to deal with spilled vape juice when you're out on the go. The battery "died" after 2 weeks and the pods are NOT leak free! Not happy at all! Last me all day, sometimes longer. The battery charger is not worth the money, this is my second one within 2 weeks and both just stopped working, also, the pods aren't leak proof, that's probably what short the batteries out, I won't invest in anymore! I was a smoker for 10 + years and I was a solid pack a day smoker. I tried the Chantix and patches and nothing seemed to help. When I first started to use the Leap I went through the first couple pods in a couple of days now I am only using one pod for two weeks. My goal is to slowly wing myself off of this and be completely nicotine free by the end of April. I am realistic knowing that I am still ingesting nicotine but the reduction in the concentration makes the withdrawal from it will make it easier. As far as the flavors I really love the Artic Berry and Mint I have also tried the Strawberry Kiwi and it was just too much. My biggest issue is remembering to charge it my husband use to tell me that I was the worst smoker because I could never find my lighters now I have to search for my charging cable. I did think about buying a second Leap just to have a backup but I do not want the convenience of having it. Although I do believe that I will continue to have and use the Leap on some occasions just because it is not a horrible smell like cigarette smoke. I did not realize that the smell was so pronounced. This is a great product to either aid in quitting smoking or just not having the smell of tobacco on you. I have found that they do not sell them as widely as the Juul but I just don't like the products that Juul has to offer.